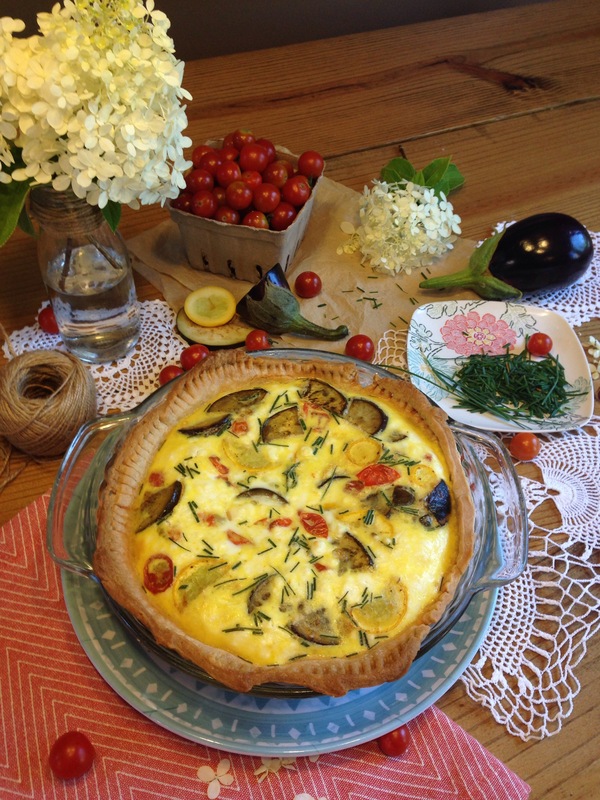 I have been wanting to make a Quiche and I had beautiful summer vegetables coming out of the garden I knew I wanted to put in it. 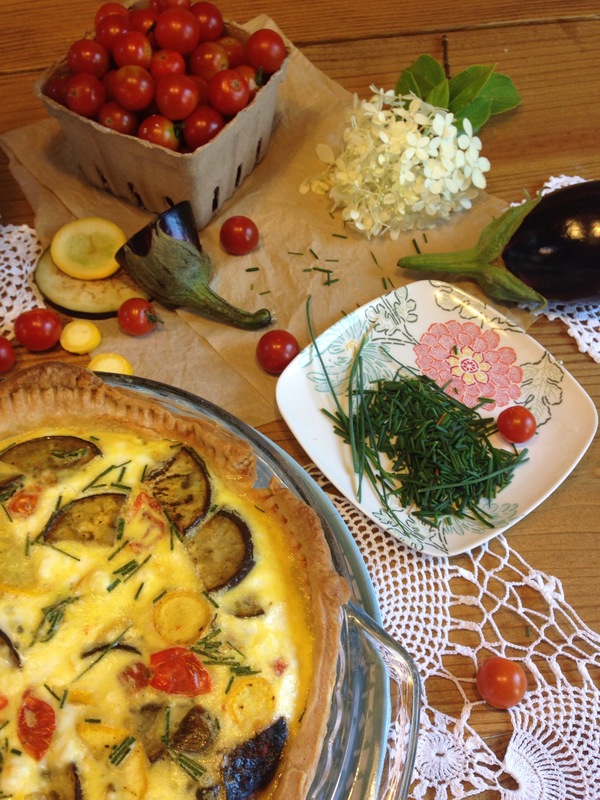 Gorgeous deep purple eggplant, bright yellow squash, lengthy aromatic chives and plump red cherry tomatoes! These all just scream summer to me! I also knew I wanted to use goat cheese. Plus, goat cheese and chives are a favorite combination of mine! 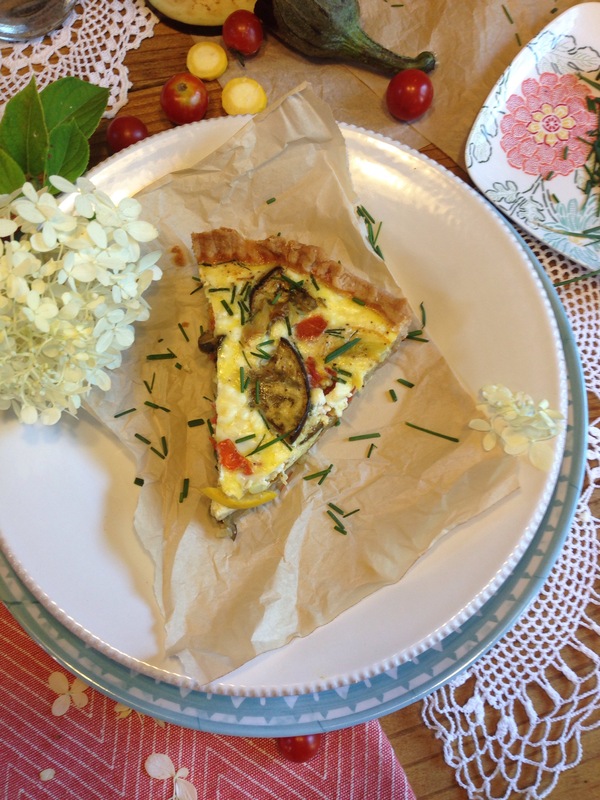 I feel like quiche is one of those things you can eat for any meal, breakfast, lunch, or dinner. It is also great because you can eat it hot or cold. 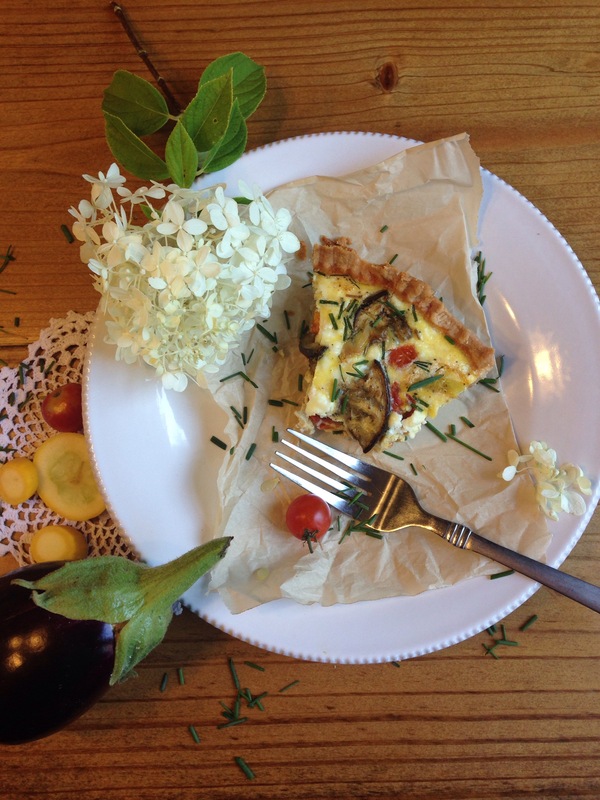 This quiche is delicious and full of some of my garden favorites! I also made my Grandma Betty’s pie crust but of coarse if you don’t want to make the crust from scratch you can use premade pie crust. Start by preparing your pie crust. Preheat oven to 375 degrees. Flour your work space then in a bowl mix flour, shortening and brown sugar. In a separate bowl mix salt, water, egg, and vinegar. Combined the first bowl with the second bowl and mix until the dough starts to pull away from the sides of the bowl. Place dough onto your floured work space and knead dough incorporating more flour if needed. If your dough is tacky you need more flour. 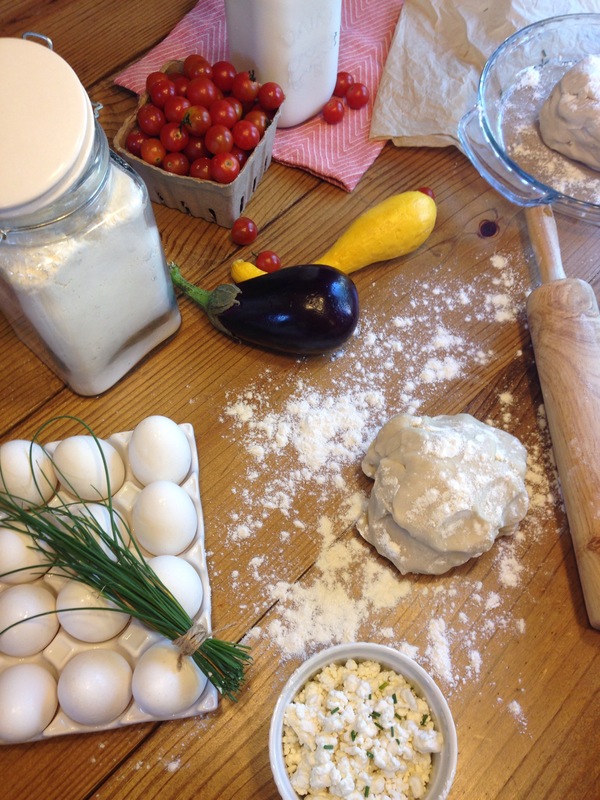 Form into a round ball and roll out dough with rolling pin. Take your pie pan and gently place dough over pan. Remove the over hang of dough and with a fork poke holes in your pie crust. Bake pie crust for 10 minutes. 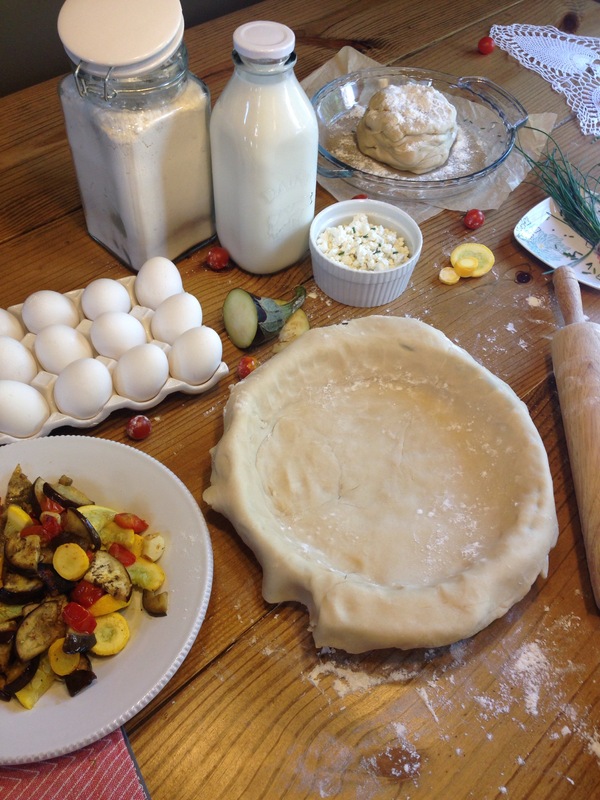 Your pie crust might not look perfect but that’s the beauty in it …. Its homemade! 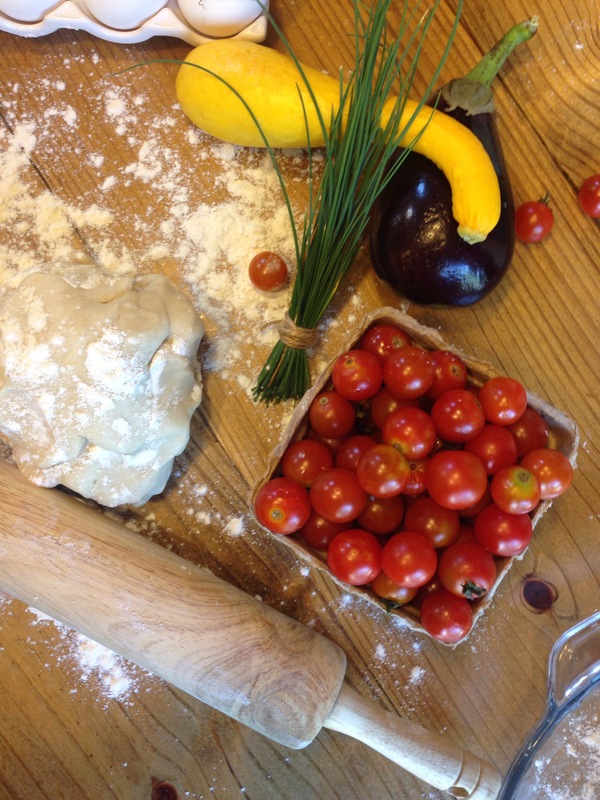 While your pie crust is baking chop your garlic, eggplant, squash, chives and cherry tomatoes. On a small baking sheet toss chopped vegetables in olive oil. Preheat oven to 475 degrees and allow vegetables to roast for 10-15 minutes or until vegetables are tender. I LOVE the smell of roasted garlic and vegetables! If you have never roasted your veggies, your missing out! Make sure to allow your vegetables to cool completely after roasting. If you place them right into your egg and milk mixture your eggs will scramble. So be patient. Preheat oven to 375 degrees. 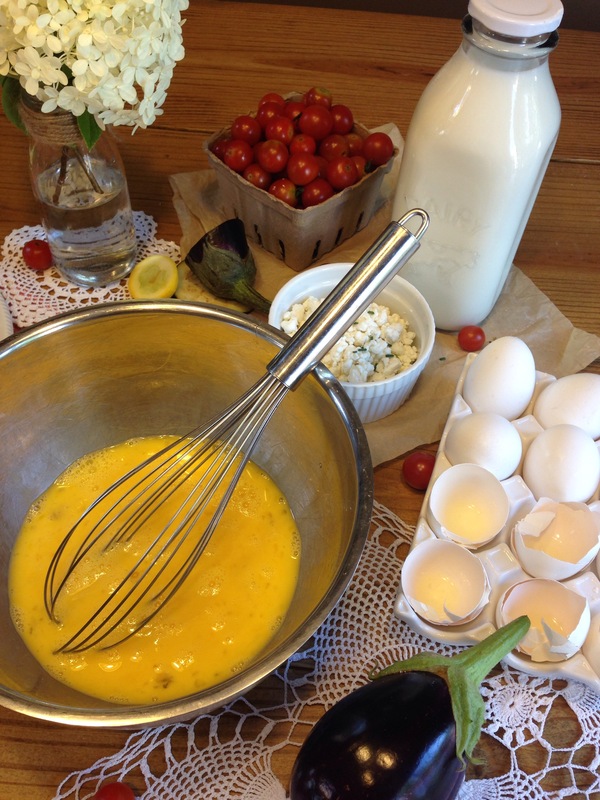 While your veggies are cooling, in a bowl whisk eggs, milk, and a pinch of salt and pepper. Add cheese, chopped chives, cooled vegetables, and stir. Then poor your quiche mixture into your pie crust and top with more chives if you would like. I did! 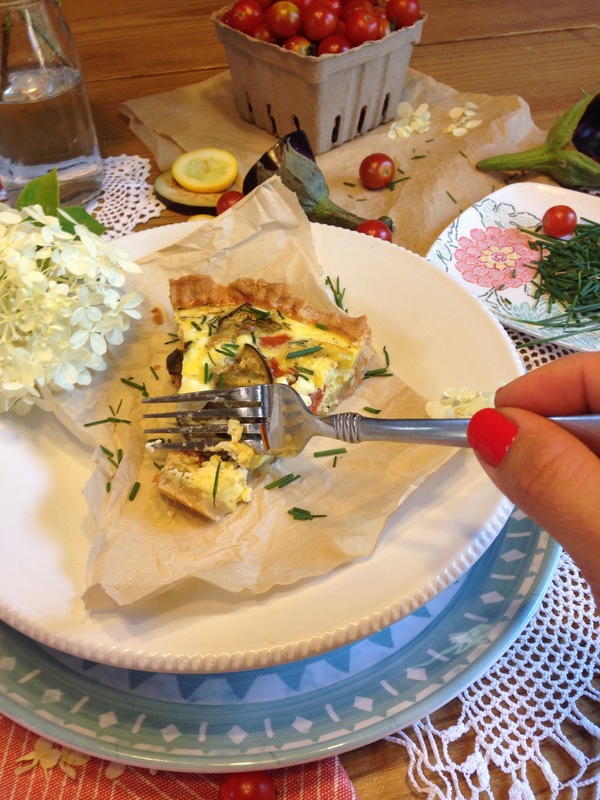 Place your pie pans on a baking sheet to prevent a mess in your oven, your quiche might spill over. Cover with foil and bake for 35-45 mins. Covering your quiche will allow it to cook all the way threw without the top browning to much. Then uncover after 45 mins and bake for another 10 mins uncovered. 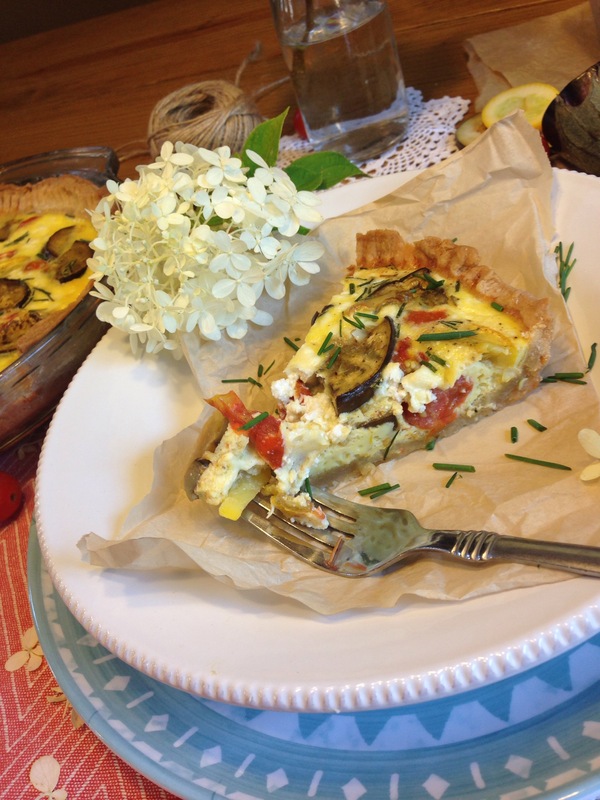 Allow quiche to cool for 10-15 mins before serving. 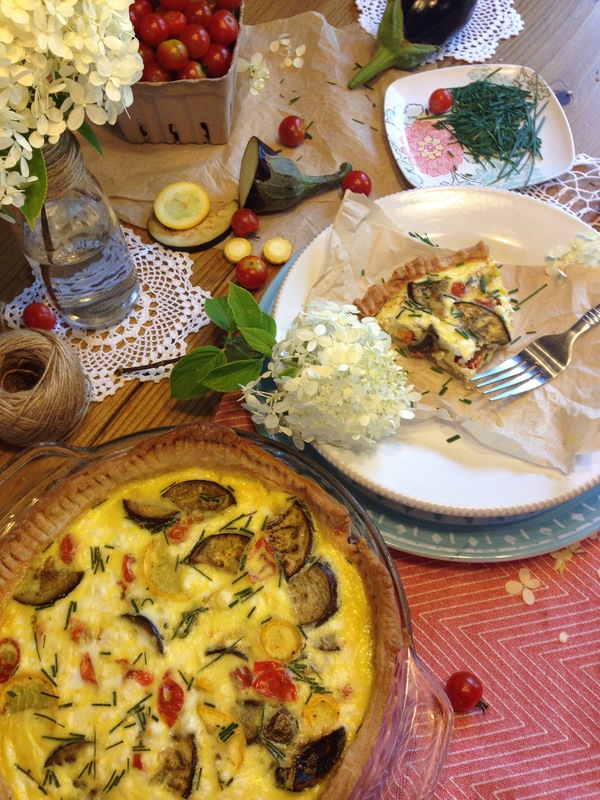 This recipe makes two quiche. 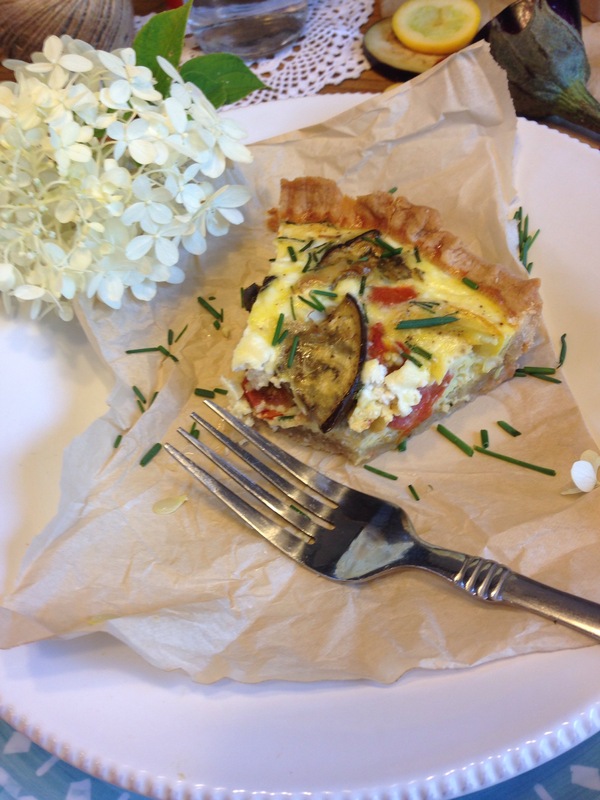 I had high expectations of this quiche and I will reassure you it did NOT disappoint! 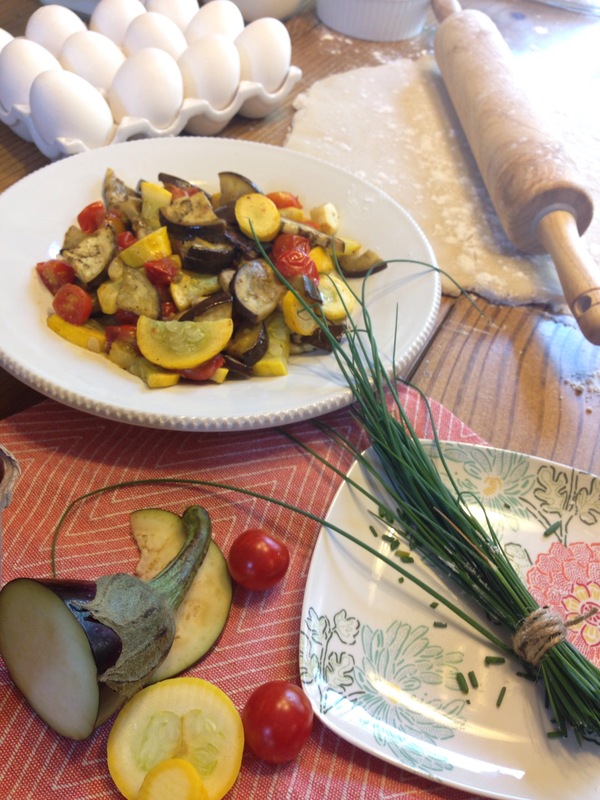 Roasting all the summer veggies really brings out all their flavors… YUM! 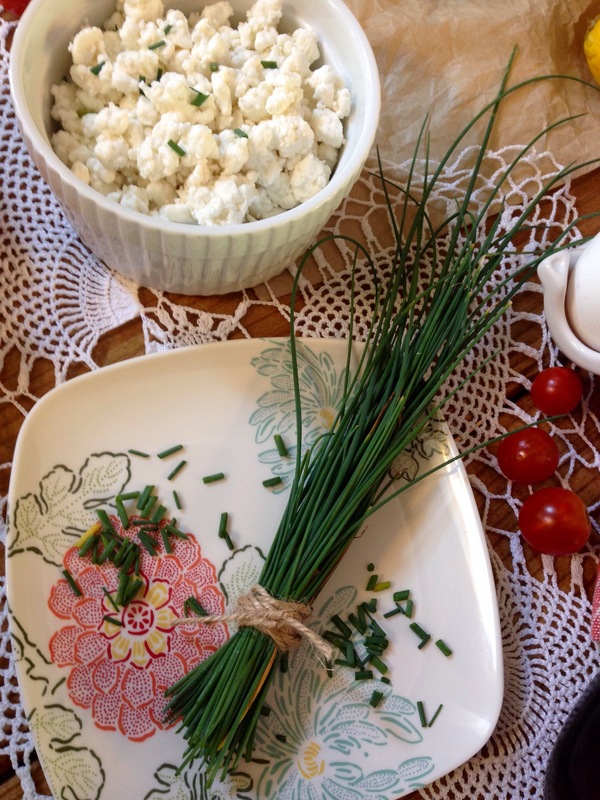 The goat cheese is nice and creamy and the chives really compliment the tangy creamy cheese. This is a MUST make recipe!